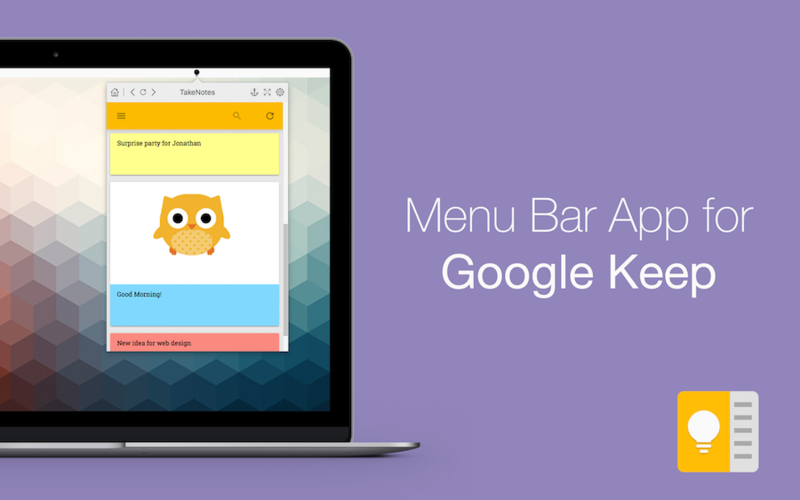 TakeNotes for Google Keep on Mac Menu Bar! 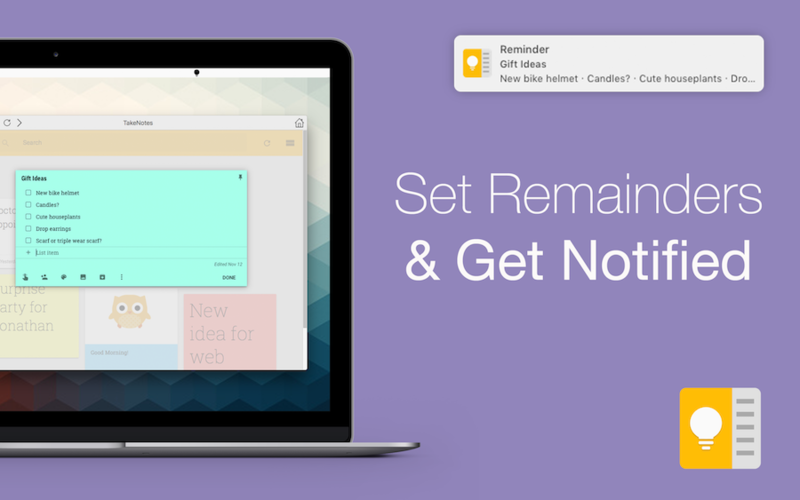 Struggling to maintain notes of your ideas and thoughts then TakeNotes – App for Google Keep is for you. Menu bar app for Instant capture of your thoughts, ideas, discoveries, remainders, and tasks with TakeNotes. 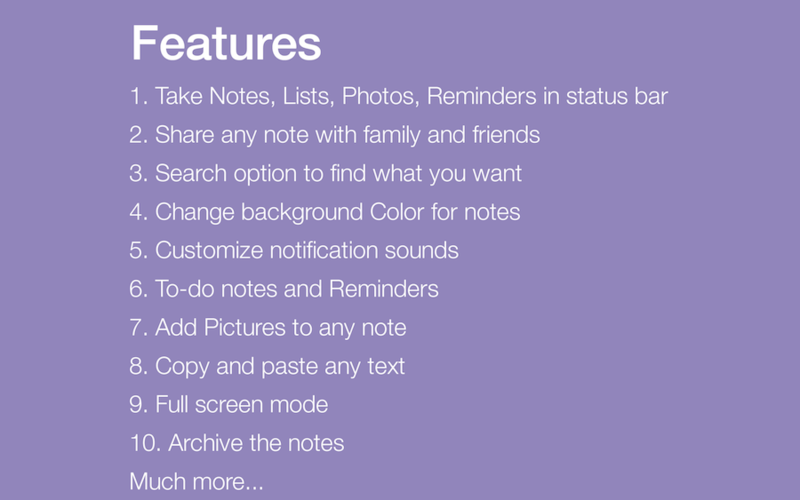 Create to do list and enter notes, images and annotate it. 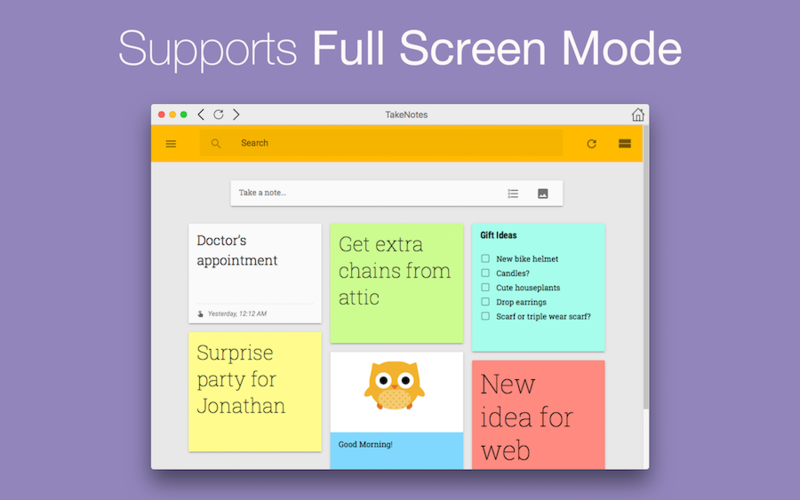 TakeNotes is wrapper for Google Keep, so you can login with your existing gmail account.